Strained back, headaches, menstrual cramps? All these pains may cause you to reach inside the medicine cabinet for an over-the-counter pain reliever. And while the common assumption is that these drugs are relatively safe since they don’t require a doctor’s prescription, new research suggests you might want to think twice about what you are grabbing. One study, published in the Journal of Epidemiology, found that regular use of pain relievers like ibuprofen and Tylenol were associated with a higher risk of hearing loss in women. The researchers found that women who reported regular NSAID (ibuprofen, Advil, etc.) 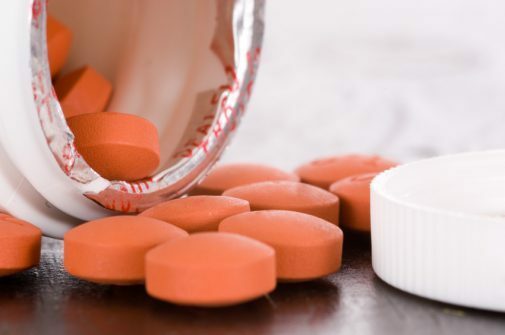 use and women who reported regular acetaminophen (Tylenol) use were at a higher risk of hearing loss than those who reported using the pain relievers less than twice a week. Interestingly, the regular use of aspirin was not associated with hearing loss. Thank you for writing this topic. I’m the girl who wrote to you about what happened to me from using ibuprofen. I got a purferated ulcer, a quarter size whole in my stomach, emergency surgery. I almost died. I was taking motrin 600mg 3x a day for severe arthritis for years and now I developed what I thought was a regular bilateral eye infection. Saw my MD and got antibiotic eye drops. After several days I knew they were not helping. Saw my Eye MD and she found retinal bleeds. I was given steroid eye drops and I’m much better. So now am scheduled to see a Retina Specialist. I don’t know yet if it was from the Motrin but I have no other medical conditions that could of caused this nor do I take any other type of blood thinners or ASA. So what is the alternative. I have the big three in the medicine cabinet and I move back and forth on which one I take when needed. My doc said Tylenol was ok but he doesn’t recommend Advil or ibuprofen. It’s due to Advil that I can’t get rid of this even though I changed my diet! Advil is the only one that works for me . But I only take it when the pain is intense. Tylenol does not work for me at all. What should I do now ? Aspirin is the only thing I will take. I’ve had no issues at all and I’m 59yo. The other meds make me sick to my stomach.